I originally reviewed Hyrule Warriors on Wii U as well as the 3DS version on Nintendo Everything previously, so you can deduce that yes, I did dip into both previous versions of this game already. Except I didn’t stop there. I didn’t just put in a good 10-15 hours, as embarrassing as it is to admit – that’s not even close. Hyrule Warriors was by far my most played Wii U game coming in at 263 hours, and Legends comes in at a far second with only 115 hours. Combined that means I’ve played almost 400 hours of the game with, almost, no shame. Keep in mind that this is all allotted time that has been collected over nearly five years, so it’s not as sad as you probably first thought. Anyway, the point I’m trying to get across is: I know my Hyrule Warriors. Now, what Definitive Edition brings to the table doesn’t do a whole lot more than combine all the content released previously from both Hyrule Warriors titles and put them in one package, but in doing just that they have crafted without a doubt, the most full and rewarding Warriors title the Switch has to offer. (Yeah, I’m looking at you Fire Emblem.) As a final product this game comes with 43 different play styles between all characters and weapons, dozens upon dozens upon dozens of costumes to nab, four different stories to play in Story Mode, and nine different Adventure Mode maps, which all in all gives you easily over 200 hours of gameplay where you’re constantly being given weapons or costumes as rewards for doing battles. To put that in simpler terms, that’s nearly two full weeks of playtime where you’re constantly finding/being rewarded new things. That’s crazy. That’s nuts. That’s ridiculous. 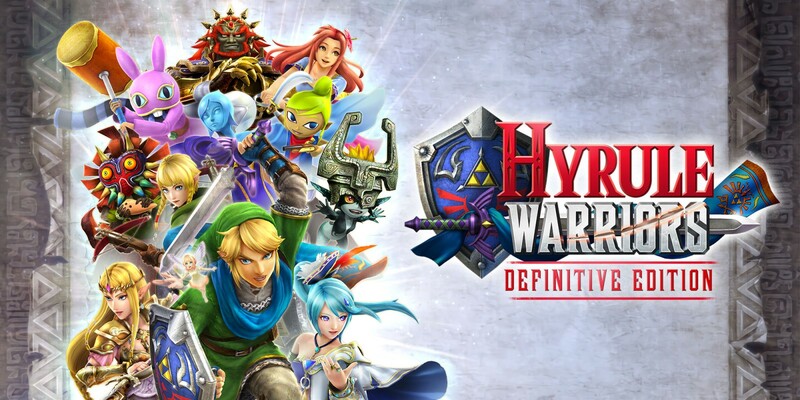 To knock it out even farther out of the park, with all of the gameplay additions made from Hyrule Warriors Legends, the formula of gameplay is so perfected and fine-tuned that there’s so, so much to love here. If you played Fire Emblem Warriors as your first dip into a Nintendo Warriors-type of game, let me be the first to personally apologize to you. You were deceived, lied to, some would even say tricked. Fire Emblem Warriors isn’t an awful game, but when held on a scale next to Hyrule Warriors: Definitive Edition, I feel it’s almost as funny as something like watching someone slip on a banana peel. Almost. It just, plain and simple, doesn’t compare in most aspects. Where Fire Emblem Warriors mostly went wrong was its decision to bring in weapon classes. In an attempt to represent the source material, the classic weapon triangle Fire Emblem veterans have grown used to seeing made an appearance here. While it did do some tricks to add more variety to the gameplay, ultimately it hurt the quality negatively when it came to diversifying the roster. What could’ve been a colorful roster of more than 25 Fire Emblem favorites became a family reunion primarily for the families in Awakening and Fates, alienating the fan base that really makes the Fire Emblem community what it is. Even worse, going back to the weapon triangle, each part of the triangle basically has its own moveset, meaning anyone with a sword plays similarly to the other warriors with a sword. 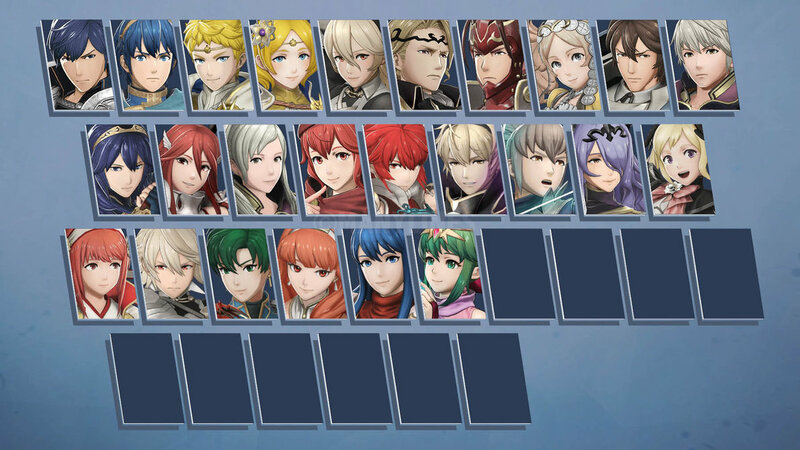 That’s a lot of Fire Emblem characters. If you know the source material at all, you should be aware that there’s no reason for someone like Chrom and someone like Lyn should play even a fraction similarly. This in turn really provides you with around 6-7 playstyles, limiting this huge and insanely creative group of characters’ combos into Slash 1, Slash 2, Slash 3, Finish. It can be boring, and is nearly fatal to the overall package. 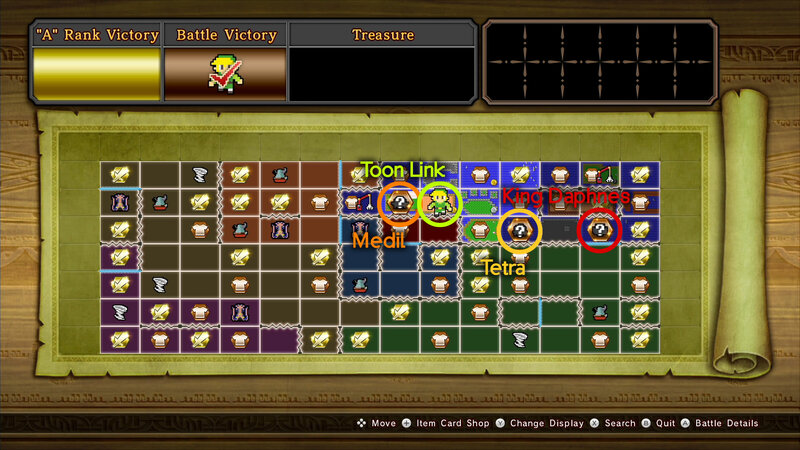 Hyrule Warriors, however, has made sure each characters moveset is absolutely different from the last. There’s around ten sword fighters in the roster, yet I feel not one play remotely similar to another. To diversify it even farther, lots of characters have multiple weapons (Link has seven!) that also play in large contrast to their other ones, making each character feel as unique as they really are. Additionally, every weapon is a callback to the Zelda series in one way or another. Instead of the Bronze Sword, the Silver Sword, the Steel Sword, that you’d find in Fire Emblem Warriors, Lana fights with a staff that summons the Deku Tree, Toon Link wields a Sand Rod that will slam baddies with the train from Spirit Tracks, and Link has a Chain Chomp weapon! It’s an over the top love letter to every nook and cranny its source material can provide. As someone who is a huge Zelda fan with no life, this was very much appreciated. Bottom line: in a game such as this one where gameplay is a steady stream of repetition, if it’s not fun or diverse or even just visually appealing, what’s the point? My love for Fire Emblem could only push me to play for so long before the novelty drains from lack of fun. Another factor that is important to the success of this type of gameplay is laying out how often you are rewarded for the tasks you are completing. All this keep stealing and army controlling would be pointless if you were being constantly provided with shiny new things, and in Hyrule Warriors: Definitive Edition, the developers have successfully mastered a way to make it all work very well. Look at all those shiny unlockables! Look at it! You see, with Hyrule Warriors and Hyrule Warriors Legends, what would oft become your method is playing as Link almost exclusively to breeze through new missions, then using the ruppees you’ve garnered to upgrade specific warriors that are required for specific missions. That way when a mission that requires a level 30 Medli rolls around, you’d have enough bling to guarantee she can make it through that hurdle, only to then play the next missions that have no specific warriors as Link again and rinse and repeat. It took this third go around for Koei Tecmo to catch up with the players and see what we would inevitably do and work the gameplay around fixing that. What we have now are Adventure Mode maps that are beautifully crafted in terms of their difficulty levels. Missions that have no demands for a certain character to be played are well scaled to a stronger warrior, such as your Link or select other Zelda representative you prefer. Then, those missions that do call for exclusively that strong Medli are scaled to be easier, because they know that your Medli is nowhere near as strong as your Link would be at this time. In simpler words, they understand that not all characters will be as beefed up as your strongest ones, so missions that require specific demands are easier to accommodate those level differences. This eliminates hours of grinding that took away my time when playing the editions that came prior, meaning all of your progress is now more streamlined then ever. Plus, to make a sweet deal even sweeter, Definitive Edition welcomes an Item Card Shop, which lets you buy items used on Adventure Map instead of playing 8-10 minute missions to nab just one. They’re all priced accordingly so you can’t just load up and never play missions again, but you can imagine buying three compasses in seconds instead of spending half an hour to get the same amount can cut time immensely. To make a long story short, Hyrule Warriors: Definitive Edition really is all it’s name implies. It’s the best possible Warriors experience a Nintendo console can provide and if you skipped the Wii U (lucky…) and haven’t had a chance to try this style of game out, lord oh lord please do. As a longtime Zelda fan I cannot express my undying love for this game and all of the Easter eggs, throwbacks, and references it pays to its source material. Simply put, my love for this game is unparalleled.